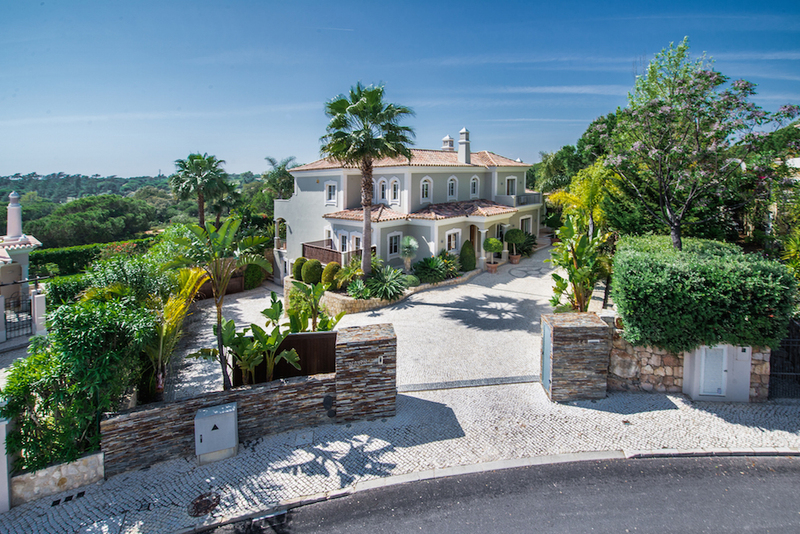 Quinta Verde is a superb development that lies between Almancil and Quinta do Lago, offering great build quality and facilities. 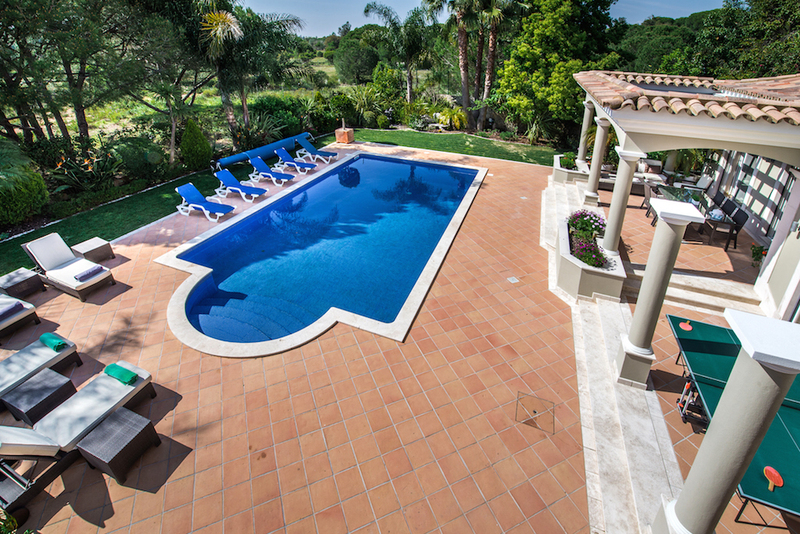 This particular property holds a commanding position in a quiet part of the small estate, tucked disctretly in a corner with no overlooking properties, it offers great possibilities for both holidays or residence. 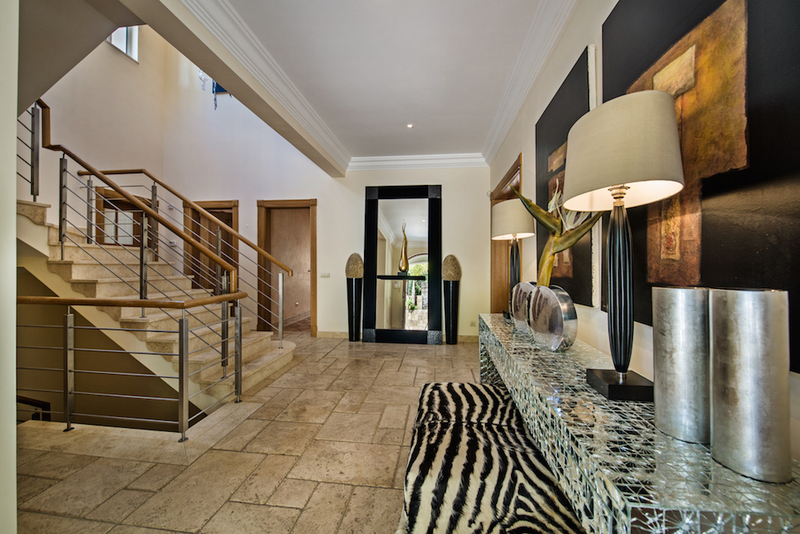 A grand entrance hall greets you on arrival and leads into the grand living areas, the kitchen, diner and social areas are all open plan adding to that modern feel. The double sided fireplace is a feature along with the neatral tones of interior design carried throughout. 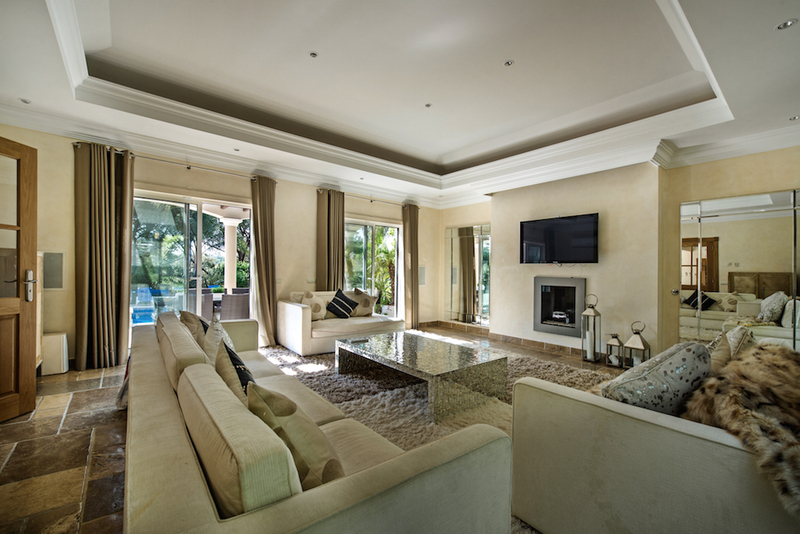 An aditional TV snug\family room completes the entertaining areas of the house. The ground floor has two guest bedroom suites, separate laundry and guest WC. 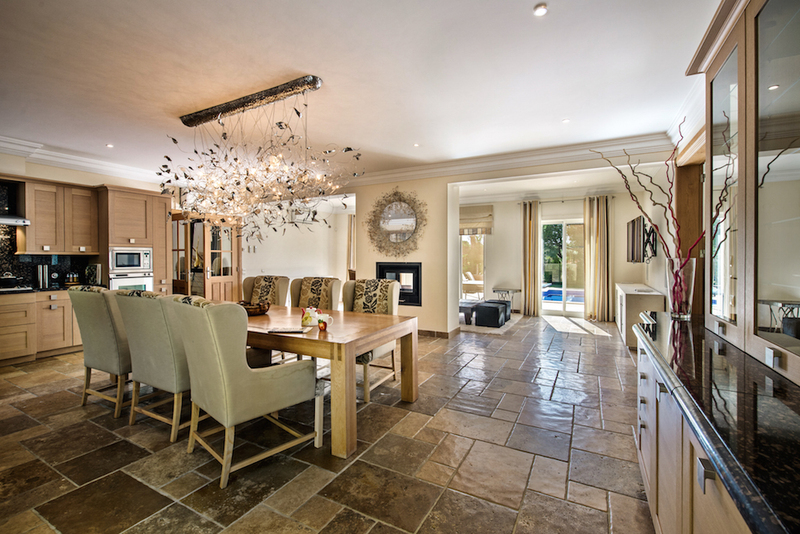 The whole of the first floor contains an extensive Master Suite and additional guest bedroom. There is an additional basement which comproses of a nanny\staff suite (bathroom and kichenette) and a fair proportion of useful storage. 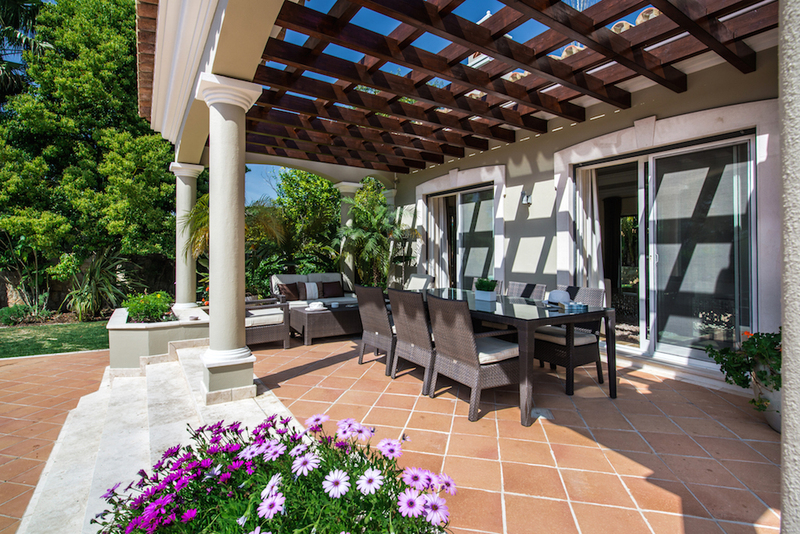 The south west aspect of the external terraces, pool and garden are great as it catches the sun all day through. A pool heater extends the swimming season and a social BBQ area completes this wonderful entertaining area. 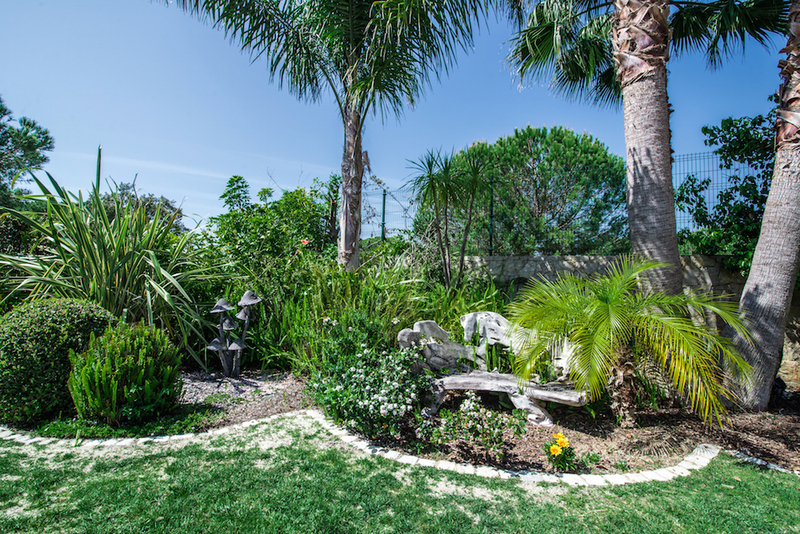 A mature landscaped garden surrounds the property with additional water features and slate facades completing the overall look.